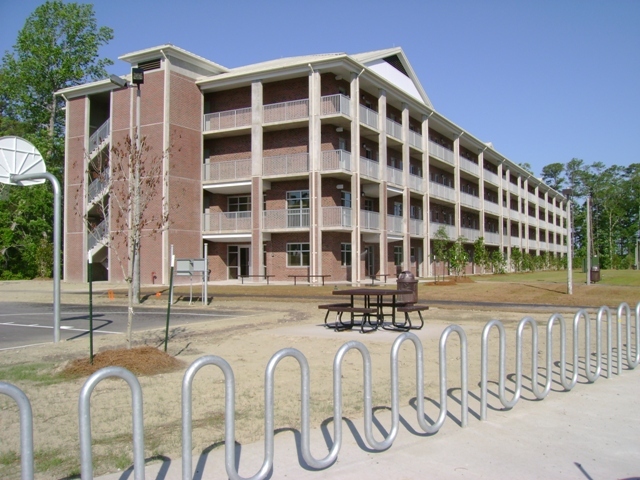 In its continued efforts to train and equip the modern Marine force, Camp Lejeune programmed the construction of two, four-story Bachelor Enlisted Quarters (BEQ’s) on two separate base sites. Stewart provided surveying and civil engineering services for the project, which was programmed as a design-build award contract. Stewart’s civil engineering services consisted of grading the two, 10-12 acre sites and designing the necessary storm drainage and erosion control measures. In addition to the four buildings, new parking areas were designed, providing a total of 455 parking spaces at each site. 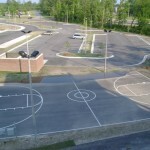 In keeping with its goal of providing quality of life facilities for the enlisted soldiers, the base requested that Stewart design recreational facilities which include two volleyball courts and two basketball courts, along with BBQ and picnic areas for each site. Stewart also completed the utility design for the two sites, which included the extension of water mains for domestic and fire supply, sanitary sewer collection system, lift stations, force mains, and rehabilitation of an existing regional pump station. Surveying services for the site consisted of base mapping to be used during project design. The base mapping included location of surface features, existing features, topography, utilities, and off-site utility extensions for both sites. Construction survey services were also provided through the layout of proposed site features, including building footprints, parking, storm drainage, utilities and storm water management. A detailed cut-fill analysis was prepared in order to facilitate a more balanced site. In order to accelerate the construction schedule, Stewart prepared an early site package for both sites. Stewart also secured all of the required permit approvals from the various government agencies, and provided construction administration and stake out services during construction. Upon its completion, this project was awarded LEED® Silver certification. Stewart was also responsible for landscape architecture for the project. 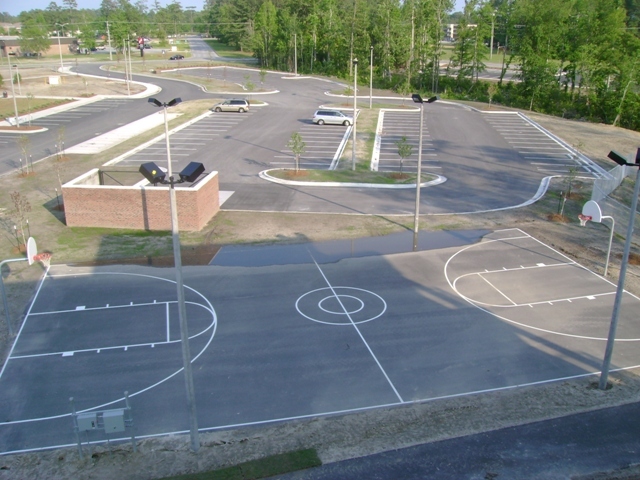 The exterior site landscaping was designed in accordance with the Unified Facilities Criteria. All specified plant and turf material is low maintenance, drought tolerant, native to the area, and regionally grown. 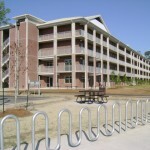 Shade trees were used throughout the site to reduce the impact of solar radiation on parking lots, buildings and sidewalks as well as to soften and unify visual appearance. Large evergreen shrubs were utilized to screen dumpsters and other similar elements. Smaller shrubs, both deciduous and evergreen, function as decorative elements adding texture, color and fragrance.